Manager in formal outfit. Man in blue suit jacket and shirt. 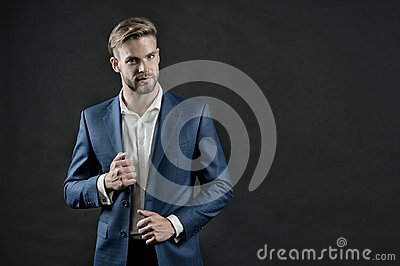 Businessman with beard and stylish hair. Fashion, style and dress code. Business, entrepreneurship and career concept, vintage, copy space.